What happens if someone dies on Mars? The out-of-this-world future of human death. It’s entirely possible that someone alive today on Earth will be the first person to die on Mars. The private company Mars One expects that, after a one-way flight, its interplanetary travelers will remain there for the rest of their lives. Billionaire space magnate Elon Musk has said that, eventually, he’d like to die on Mars himself. His company, SpaceX, is planning a return flight on its Mars journeys, but, as Musk said last week, with the risk of death so high, anyone who goes on the first Mars flights must be prepared not to come back. If humans reach Mars, at least a few of us are likely to die there. This would be a milestone of its own. In the history of humanity, only three people have died in space—cosmonauts on the Soyuz 11 mission when their return capsule depressurized at 104 miles above sea level, well past the boundary between Earth and the rest of the universe. No one’s ever been buried, cremated, or left to the elements on another planet. If a person did die on Mars, what would happen to his or her body? 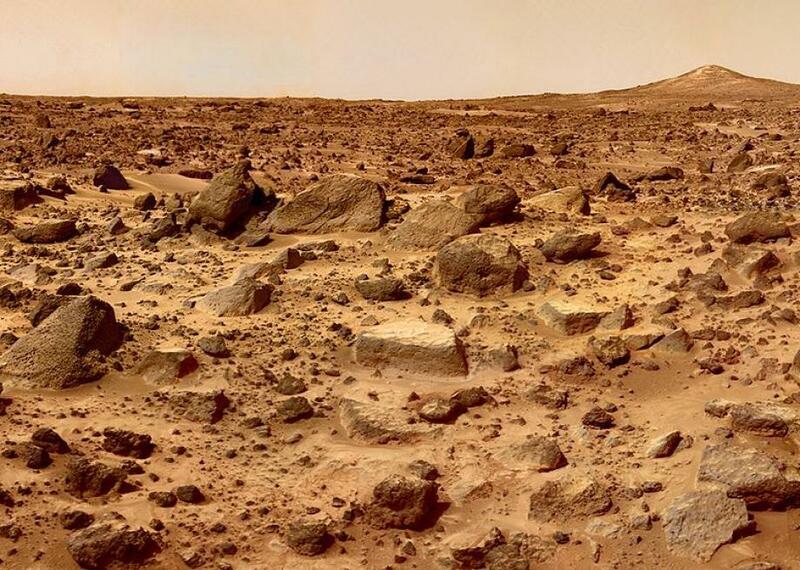 If left out on the Martian surface, a human body would last a very, very long time. On Earth, post-death destruction starts with decomposers, which move in fast and start using organic matter to fuel their own little lives. Mars has no biology, that we know of. In the immediate aftermath of death, a body would still start to decompose there: The bacteria inside, transplanted from Earth, would go to work. If a dead body was left outside at the Martian equator, where temperatures sometimes reach pleasant-enough highs during the day, this could go on for a few hours. Without an insulating atmosphere, though, the planet cools quickly, and even balmy Martian nights are as cold as polar nights here. The body would freeze, stopping the work of the bacteria, and begin the slow, dry process of mummifying. Working against the preservation of the cold would be ionizing radiation, which destroys organic compounds and bathes Mars at levels unheard of on Earth. One plausible explanation for why we haven’t found any traces of life on Mars is that the high levels of radiation there zapped any organic compounds into gases that show no trace of their former life. Eventually, radiation would do away with more of the body, but it would take eons—100 million years from the first human death on Mars, it’s possible that the person’s bones could still be found. Being human, Mars colonists probably wouldn’t just throw bodies out on the ground and leave them there. If a body was buried, though, it would be even better preserved than if it were left on the surface—the conditions would still be cold and dry, but the body would be protected from radiation. To dispose of a body, Mars explorers or colonists would have to resort to cremation or deliberate decomposition. Either is possible; Mars One already chosen cremation as its method for disposing of the dead. A cremation fire would require two resources that Mars missions are already looking to extract or manufacture on Mars: oxygen and fuel. But even if the settlement is not manufacturing fuel, there could be enough leftover from the trip there to feed a fire. The other option is less conventional, since it would basically amount to composting human bodies. However, a space bioethicist told Slate that this option seemed unlikely—“There are societies that desperately need fertilizer, and even they don’t use their dead bodies for the purpose,” he said—but it seems to be one of the first options that pops into people’s minds. It makes sense: Any semi-permanent Mars colony would benefit from a composting system that reserved food waste and recycled it back into new plants, and astronauts already violate earthly taboos about waste by drinking recycled urine, for instance. If it’s possible to get past the taboo of death, actively composting a human body isn’t so different than burying it in the ground. Besides Mars One, Mars-faring expeditions haven’t been so clear-cut about their plans for death, though. NASA, presumably, would use a similar approach to its current preparation for astronauts—”contingency” or death sims, in which, astronaut Chris Hadfield has written, an entire team works through the basic questions: what to do with the corpse and its smell? How quickly will a body decompose? How should the person’s family be notified? How should the PR team respond? Of course, we have to get to Mars first for any of this to be relevant. But planning ahead for end-of-life is always advisable. Special thanks to the Blue Marble Space Institute of Science and to Jim Cleaves for their thoughts on death and decomposition on Mars.